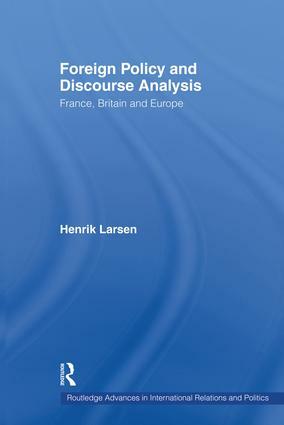 Henrik Larsen presents discourse analysis as an alternative approach to foreign policy analysis. Through an extensive empirical study of British and French policies towards Europe in the 1980s, he demonstrates the importance of political discourse in shaping foreign policy. The author discusses key theoretical problems within traditional belief system approaches and proposes an alternative one: political discourse analysis. The theory is illustrated through detailed analyses of British and French discourses on Europe, nation/state security and the nature of international relations.